Are you looking for a free WordPress theme for your blog that is easy to install and maintain? Well, you may have found it. Take your blogging to the next level with this free template. Radiate is an awesome, responsive theme for WordPress that you can use to create your blog. It offers simple format control options, and is fully customizable. Radiate is light retina, which means your content will look crisp and clean on any device. Little or no coding is needed to maintain this theme. This makes it great for bloggers with limited knowledge of PHP as well as users who don’t wish alter any code. We love Radiate. It’s responsive and super easy to customize. Radiate has a custom CSS option located right in the customize menu. This free WordPress theme has some of the best support around. Anyone who has used this theme knows that you won’t have to struggle to find free, accurate support. This simple and easy to use WordPress theme offers makes it easy to streamline communication on your site. Radiate offers plenty in the way of customization, providing custom CSS and options for a responsive user interface. Installation is very fast and easy for this free WordPress plugin. The menu and comments section be also be edited quickly. In addition, this theme is translation ready for a number of languages including: French, German, English, Russian, Spanish, Swedish, Norwegian, Portuguese. The header features a parallax effect, making a stunning visual impression while scrolling. It couldn’t get any simpler and clean than Radiate. This is a great choice for bloggers who want a striking display to feature their content without all the headaches of messing around with the back-end. You can quickly and easily edit the layout with options to setup the header, footer, or add a slider. For more advanced users, Radiate is a great template to customize, tweak and refine any way you wish. 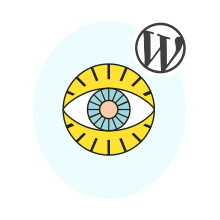 Retina allows bloggers to customize the design any way they want with the addition of plugins. For example, many choose to add Jetpack to add infinite scroll. This theme integrates primary color options to control the background, links and icons. WordPress gallery is also supported to easily create columns and align your images.